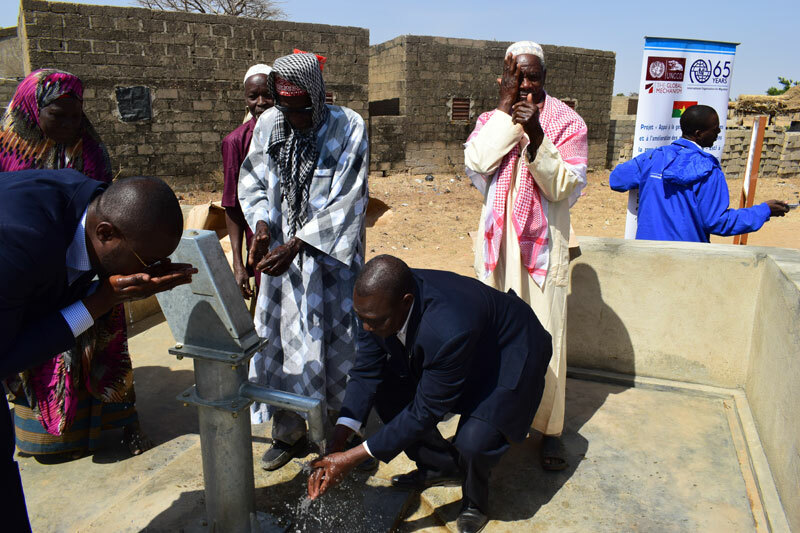 Burkina Faso - IOM Burkina Faso – in partnership with the governments of Italy and Belgium and the UN Convention to Combat Desertification (UNCCD) – has opened two new boreholes in the rural commune of Béguédo, located in Bulgou province in Central-East Burkina Faso. A borehole is a hole driven into the ground to release drinking water in areas where access to potable water is scarce. The Central-East region of Burkina Faso is suffering from land degradation and faces significant challenges, including inadequate agricultural and pastoral land, low agricultural yields, riverbank erosion and silting up of the Nakambé River. This region in Burkina Faso is the country’s largest migration area and many people migrate, hoping to reach Europe, especially Italy. IOM Burkina Faso’s Assisted Voluntary Return and Reintegration (AVRR) programme shows that at least 80 percent of assisted migrants in 2016 came from the Central-East region. The project aims to mobilize diaspora resources for sustainable land management in the Central-East region through income-generating activities and access to drinking water. The project informs the local population of Béguédo about the diaspora, migration issues, and implementation of water systems for sanitation. It also examines how to recover degraded lands through techniques adapted to each type of soil, training activities and diversification of production and farm income. The project is implemented by the Global Mechanism of the UNCCD in partnership with IOM.